It is a huge pleasure to see this group starting up at the northern end of ‘our’ railway, the Glos Warks Railway, for two main reasons. The first one is very personal: when I was 15 and forced to be a member of the school’s cadet force in Dorchester, the only silver lining in what was at the time a deeply annoying bit of the grammar school curriculum was an opportunity to go to Longmoor. This was 1968, don’t forget, and we were all into the counter culture, Jimi Hendrix, peace and love and lying on the floor in the dark smoking illegal substances to Pink Floyd. We were satisfactorily angry at how the forces of authority made us wear an army uniform on Wednesdays and march up and down while the Head of French pretended to be a Major. I didn’t approve of getting to fire a machine gun at Lulworth camp (of course) but it was exciting as were trips to the tank museum at Bovington. The totally surprising compensation for all this was discovering that there was a free 5 day course to be had at Longmoor, then home of the Royal Corps of Transport. 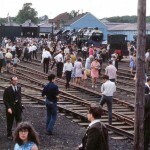 Those of us at school who had watched the last sad days of Southern steam jumped at the chance. Our railway selves totally trumped our radical hippy posturing and I had a fabulous time. 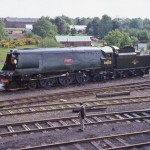 Longmoor was in the throes of trying to become an early preservation centre and was home to 92203 Black Prince, 34023 Blackmore Vale, 35028 Clan Line, 75029 and 41298. I got to drive an 08 shunter up and down the line, fire Austerity No 196, Errol Lonsdale, be a signalman for the day and paint Black Prince’s tender. In one fell swoop, I went down with the railway preservation bug, never to recover. 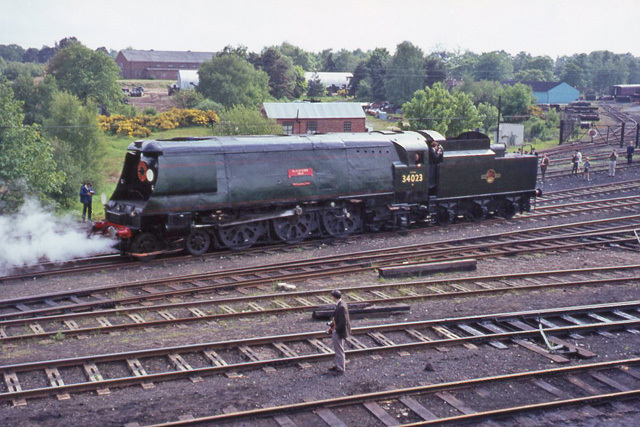 I was sorry when the scheme failed and its collection was scattered to the four winds but this new scheme at Long Marston takes me right back to those memories and I hope that this attempt to preserve the heritage of military railways fares better. The soldiers who ran our railways have been unsung heroes for too long and they deserve a high quality place to commemorate their efforts in both war and peace times across the world. Astonishingly, the LMMR is situated right at the northern end of the GWSR, just beyond Honeybourne Junction. 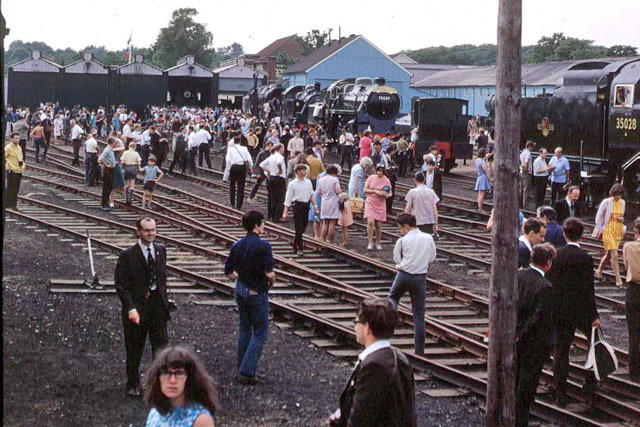 We all want to see our railway extend beyond Broadway and recreate that mainline connection but the thought of having a distinct steam railway facility growing exactly where we need one is way beyond exciting. I just cannot believe our good fortune. We wish them all the very best as they set their centre up. Look out for Military Railfest 2015 when our own 8F, No 8274 will head to Long Marston in its army guise as WD 348. Marvellous!